The Association is governed in strict accordance with the provisions of the constitution of the Association. The day-to-day affairs of the Association are managed by an Executive Committee elected at the AGM held in March every year. The Executive Committee comprises of a President, three Vice-Presidents, Secretary, Assistant Secretary, Treasurer, Assistant Treasurer, Two Social Secretaries, Sports Secretary, Assistant Sports Secretary and six other members, making a total of Eighteen (18) members. 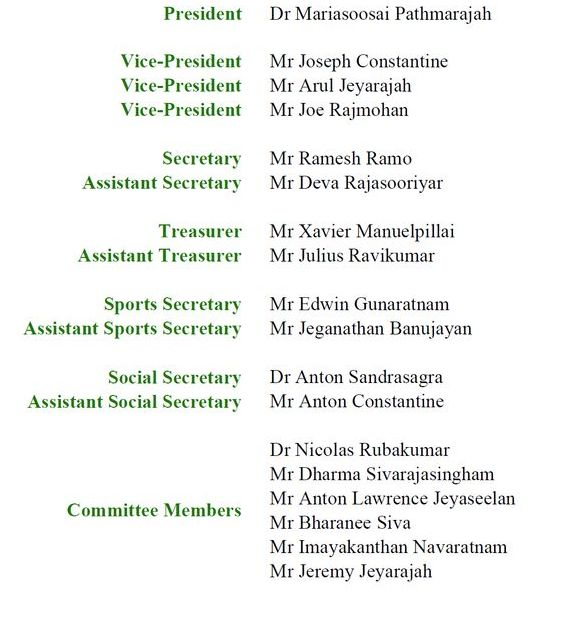 To improve output and efficiency of the association, the executive committee elects sub-committees and steering committees, each such committee chaired by a member of the executive committee.